This cozy mat features a lightweight core that actually reflects pet's own body heat back to the animal. Provides soothing comfort to cats, kittens, aging pets, nursing females, or animals recovering from illness or injury. Machine-washable pad features a fun mouse pattern, Berber Fabric for scratching, plus white fleece that reverses to solid black fleece. Measures 22-inch length by 18 inch width. Purrfect for that special kitty! 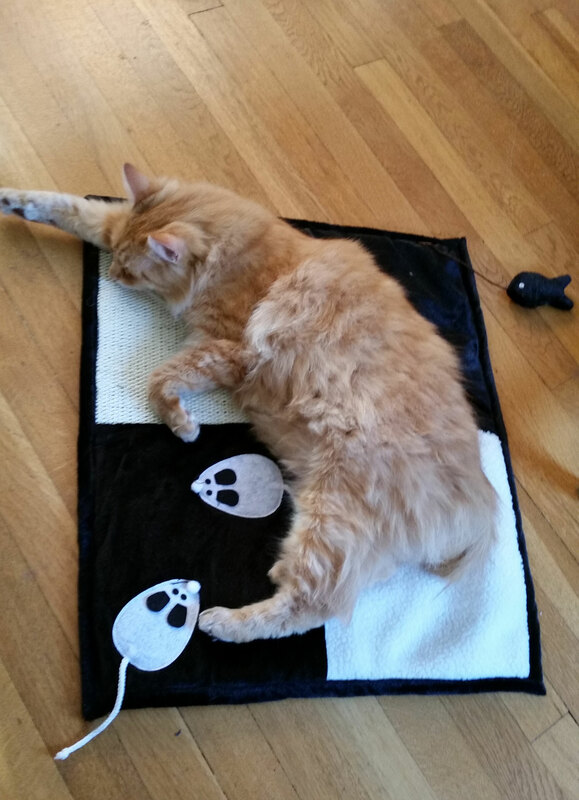 Purrfect Thermal cat mat keeps cats warm and comfortable without the use of electricity. Great for pet travel can be rolled up for packing then lays flat. Added mouse for play!